Blackinton boot but not a corkscrew. No idea what it is! I just came across a R Blackinton Co boot. 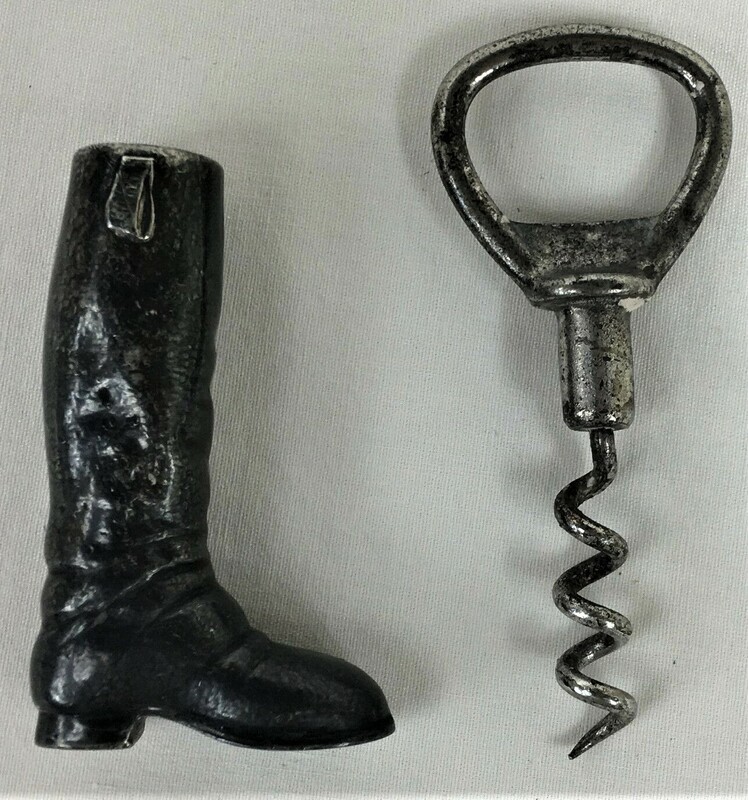 However, almost all of them that I'm seeing pics of have a corkscrew/bottle opener in them. Mine does not. Mine has something in it alright, but I haven't a clue as to what it is or why, or even if it is original to the piece. The top insert piece is 2 3/16". The top comes off and in the top part of the ...tube... is some material. Also, the boot is lined with something, and I think that if the corkscrew was supposed to be with the boot then that lining wouldn't be there. It seems like it would be fragile. Honestly, I get a whole flint and steel vibe from the thing. 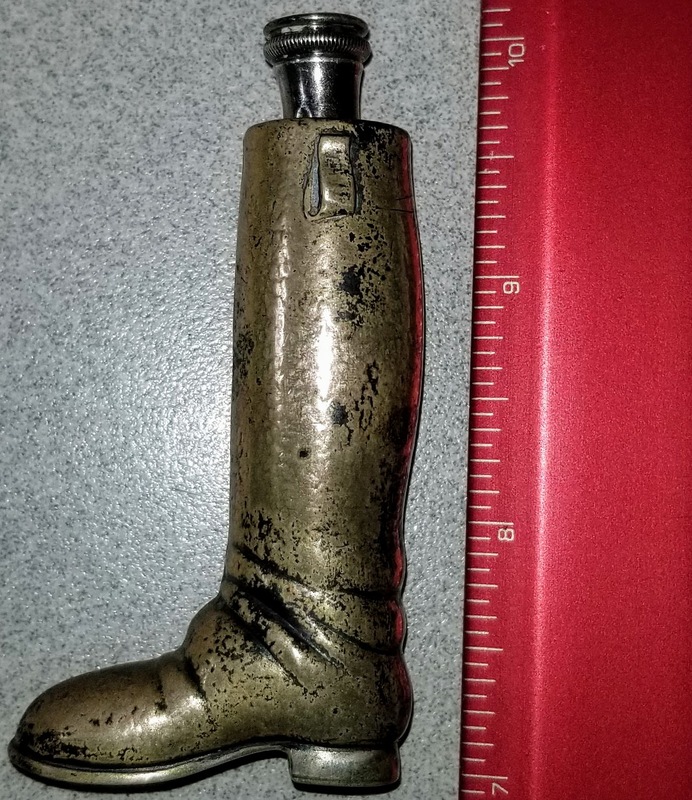 Re: Blackinton boot but not a corkscrew. No idea what it is! Ok, so what if the tube was supposed to be hollow and held in place by the lining (Red? Old dry rubber?) to act as a pouring spout after popping the cap...if stored upside down for a long period, the liquid contents might dry into that nasty amalgam stuffing the tube. Black? Liquid boot polish, stored in a small boot for touch ups? Gotta look good for that whole hound and fox show. Then again, a swift kick of spirits? As Cheryl said it was a corkscrew opener (pattern number 738).